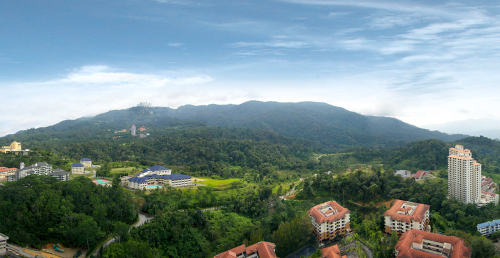 The Strata Management Act (SMA) 2013 implemented last year was a welcome relief to home buyers as it provided clearer and more stringent provisions on the management of stratified properties in Malaysia, including residential, commercial and mixed-use developments. The Act serves to provide better protection for home buyers from errant developers. • A few developers are manipulating the legal loop-holes in the new Act to work in their favour. These include including nominating their own staff to attend the JMB/MC meetings to outvote individual owners over matters such as service charges, management issues, etc. • Developers do not reveal their accounting documents when requested and there is a lack of independence as they utilize their own auditors. • Confusion over the conversion of maintenance contribution – from per square foot to share unit basis. In order to try and clear up the issue, Reena Bhatt sought the opinions of two prominent legal experts, Dato’ Seri Matthew Yeoh (MY), Managing Director of Yeoh Mazlina & Partners and Chris Tan (CT), Founder and Managing Partner of Chur Associates. It has been almost a year since the Strata Management Act 2013 was implemented. How has it aided in the management and maintenance of strata buildings so far? • Ensure that strata titles are passed to purchasers upon delivery of vacant possession. • Promote certainty of share units from early stages of development. • Outline greater and complete checks and balances on developers at various stages of construction. • Provide a better definition of the respective roles and duties of developers, joint management bodies, management corporations and individual parcel owners. CT: The SMA 2013 is first and foremost a consolidation of all the management issues under one Act while those specifically on strata title are regulated under the Strata Titles Act 1985 instead. The establishment of the Strata Management Tribunal (SMT) under the SMA 2013 has been helpful in addressing the many issues faced by the management. Although the impact is not obvious to date, the SMT’s high claims jurisdiction of RM250,000 has highlighted the importance of strata living moving forward specifically in Peninsular Malaysia. Do you think that home buyers are aware of their rights under the new act and what are the common misconceptions about the Strata Management Act 2013? MY: Most strata owners are not aware that they are co-owners of the strata development’s common property and that he or she is a member of the owners’ body formed. Developers, building managers and the local authorities should strive to make this new law better understood among the public. Somehow if strata dwellers are interested in their building and are motivated to participate, better results will be achieved. In order to encourage participation and a higher involvement rate, meetings between the developers and the homeowners should be often and interspersed with recreational and fun activities. It is a common misconception among owners to think that the management of the building is not their responsibility and most of them assume that the management body knows best on how to run things and thus do not require any input from them. CT: There is a clear lack of awareness by home buyers in relation to strata living. Ultimately, every strata owner should at the very least understand his or her duties, obligations, and responsibilities as an individual owner. I feel that the awareness issue should be addressed through the implementation of a basic education system by making it as part of the civic syllabus. If strata owners are not happy with the quality of the service, they might refuse to pay the monthly service charges. However, as there is no markup in the computation of service charges, if one refuses to pay, this will affect the entire property as a whole. The property will be under-maintained and consequently, the value will drop. Secondly, home buyers always treat the Management Corporation (MC) as their enemy notwithstanding that the MC is merely taking instructions from the owners. Most owners only deal with the MC when they have to pay levies and during voting at MC meetings (when and if they do attend!). One has to understand that the MC is just a group of volunteers. Thirdly, strata living require high participation from the owner as regulated by the law and contract. What are some of the issues/challenges faced by home buyers and investors since the implementation of the new act? MY: As mentioned, most owners take an indifferent attitude to the management of a building. Many are not bothered to attend the JMB/MC meetings and vote on important matters including the service charges. More must be done to educate and enlighten them that they hold the power in their hands to determine what happens to their building in the future and whether their properties would have better resale value or not. It all boils down to the matter of democracy. CT: One of the challenges faced by home buyers and investors is in relation to the issue of inter-floor leakage. It is still unclear for most home buyers regarding the statutory presumption on the leakage originated from the upper floor parcel unless the owner of the upper floor can prove otherwise. Next, there is a challenge of lack of participation of owners in the management committee. It is a huge struggle to get people to sit in the management committee. While limiting the tenure of developer’s involvement in the building’s management is a noble action to prevent manipulation, however, there is still the problem of insufficient owners who are willing to step up to the plate. Last but not least, the publication of defaulters’ list on the notice board vis-a-vis owners might prove to be sensitive and cause problems such as defamation issues as the information may be protected under the Personal Data Protection Act 2010. What are your comments/advice on the above issues faced by the property investors? MY: Strata owners should know that the SMT was established specifically to deal with such issues. The tribunal has the power to impose penalties for non-complying parties. • Failure to perform a duty, function or power imposed by SMA. • Cost or repairs of a defect. • Recovery of charges, sinking fund or any debt. • Order to convene a GM, invalidate proceedings, nullify a resolution. • Compel supply of information or documents. • Order to affirm, vary or revoke a decision made by the Commissioner of Building (COB). CT: The law has been drafted to address such abuse of power, however, it is on the basis of owners to unite together as well as to take an active part in the management. Ultimately, developer’s influence in JMB and MC meetings should only be nominal. Provisions under the law require the provision of financial reports to be audited by professional auditors. Auditors are supposed to be independent and owners are allowed to challenge any flout by developers and should make an effort to pursue the matter further. The introduction of the First Schedule under the Act provides a formula for the computation of share unit, which is actually a better way to proportionate the amount of maintenance contribution. Compared with “per square foot”, share unit is able to give the frequency of usage to the main parcel and accessory parcel. Confusion is expected due to lack of publicity and perhaps also due to the owners’ lack of interest to find out more. There is always exploitation in the gaps of knowledge of which it could be easily closed with more interest and initiative from the owners. 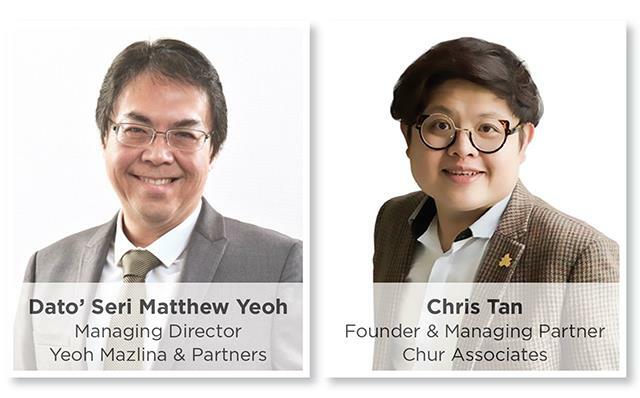 DISCLAIMER: The opinions stated in the article are solely of Dato’ Seri Matthew Yeoh and Chris Tan and are not in any form an endorsement or recommendation by iProperty.com. Readers are encouraged to seek independent advice prior to making any investments. This article was first published in the iProperty.com Malaysia May 2016 Magazine. Get your copy from selected news stands or view the magazine online for free at www.iproperty.com.my/magazine. Better yet, order a discounted subscription by putting in your details in the form below!